New Japan Pro Wrestling has revealed the full card for their 47th Anniversary Show. 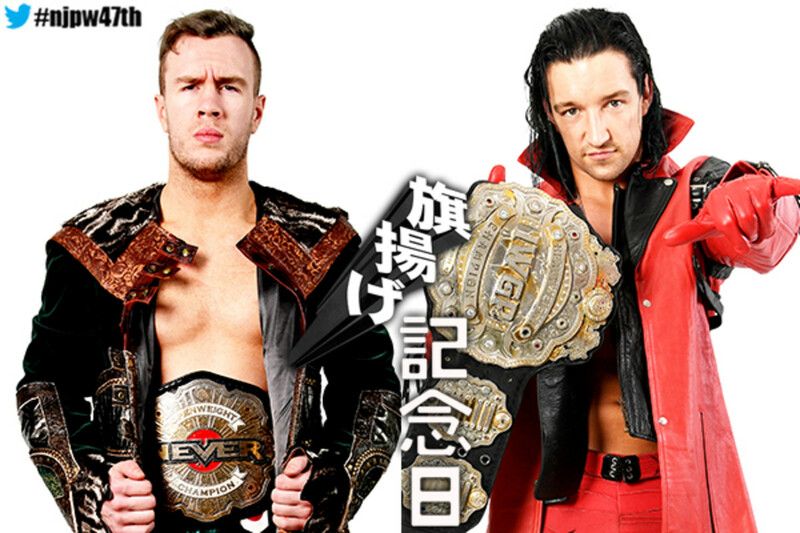 In the main event, IWGP Heavyweight Champion Jay White will face NEVER Openweight Champion Will Ospreay in a non-title champion vs. champion match. The match was set up during Ospreay's post-match comments at last week's Takashi Iizuka retirement show, with Ospreay issuing the challenge to White. Kazuchika Okada defeated Ospreay in the main event of last year's Anniversary event. Okada held the IWGP Heavyweight title at the time, while Ospreay was IWGP Junior Heavyweight Champion. Okada, Hiroshi Tanahashi & Hirooki Goto will team against Tetsuya Naito, EVIL & SANADA in the semi-main event of this year's Anniversary Show. Two title matches had already been announced for the Anniversary Show. Jushin Thunder Liger will challenge for Taiji Ishimori's IWGP Junior Heavyweight Championship, and IWGP Junior Heavyweight Tag Team Champions Shingo Takagi & BUSHI are defending their titles against SHO & YOH.